The thirst of exploring and discovering beyond what meets the eyes, led to the birth of ELFA World. Founded by Vaishali Jashoda Chandra, ELFA World is much more than just another presence in the world of internet. Having experienced various shades of journalism for more than over six years, the Mumbai girl decided to embark on a new journey. And here she is stepping into the world of entrepreneurs with her first company 5 Dreams Media. And the execution of this long due dream would not have been possible without family & friends, who kept their faith in the idea of 'ELFA World' and keep backing it with their constant support. 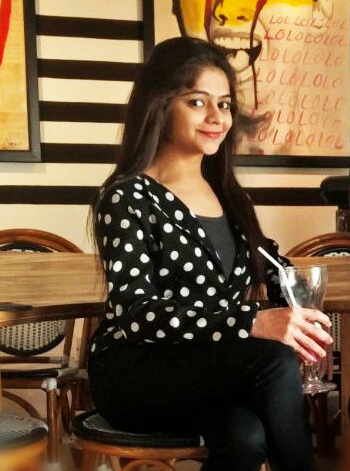 With over six years of experience in the field of media, Vaishali founded elfaworld.com and gave a new direction to her passion for journalism. Always in a quest for knowing what goes in the real world of journalism, she started interning along with pursuing her Bachelors in Mass Media degree. Having started her journey as a cub reporter for a local newspaper in Mulund, Mumbai, she interned with Mid-Day and covered the city news. The interesting part was discovering new stories every day across the corners of Mumbai, which fueled her interest in the profession even more. She later explored the world of Page3 by joining an entertainment trade magazine and then going beyond from print to digital.